Evil versions of the Dark Knight are coming to terrorize Earth this fall! Seven one-shot comics that tie into the upcoming DARK NIGHTS: METAL event are on the horizon, each spotlighting a different, corrupted version of Batman spawned from the Dark Multiverse. Today we have for you the first cover reveals for two of those tie ins. BATMAN: THE RED DEATH and BATMAN: THE MURDER MACHINE are coming! 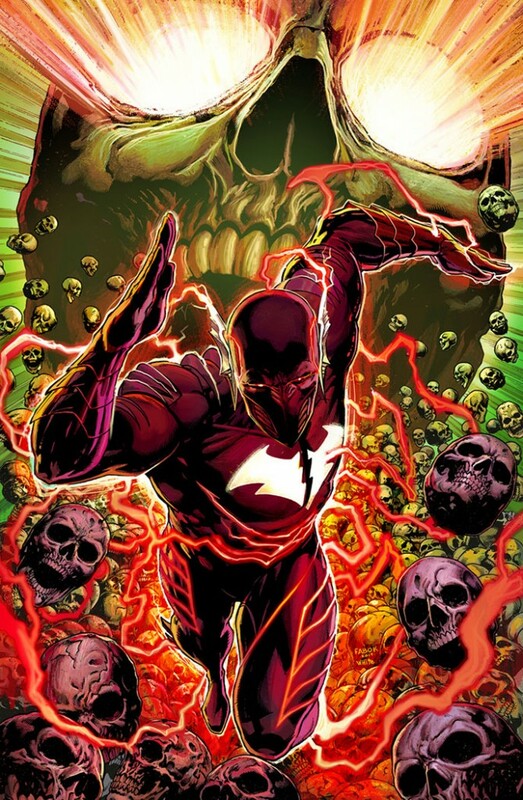 BATMAN: THE RED DEATH #1 cover by Jason Fabok and Dean White. How can the Justice League stop a horde of deadly beings that appear to be powerful, nightmare versions of themselves? Find out in these special tie-in issues, beginning September 20 with BATMAN: THE RED DEATH #1 by Joshua Williamson and Carmine Di Giandomenico followed by BATMAN: THE MURDER MACHINE #1 by Frank Tieri and Ricardo Federici on September 27. 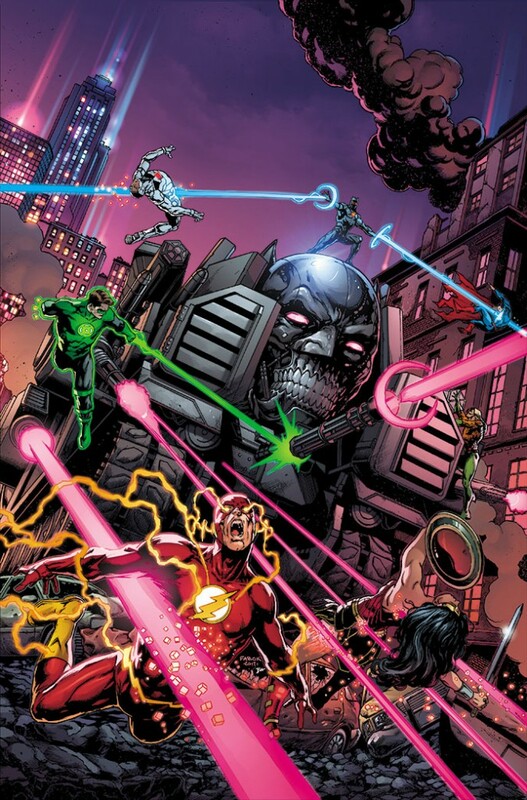 All seven of the DARK NIGHTS: METAL one shots will feature covers by Jason Fabok. Stay tuned for more cover reveals of BATMAN: THE DROWNED, BATMAN: THE MERCILESS, BATMAN: THE DEVASTATOR, BATMAN: THE DAWNBREAKER, and THE BATMAN WHO LAUGHS in the coming weeks!